This describes a manufacturer's product and its performance without consideration for a particular building. A manufacturer publish this information as part of its sales literature. This describes an architect's design and performance requirements for a particular building. It might contain requirements for how a product should be used for a the building. Contractors and sub-contractors submit bids and supply products to meet a project specification. This is a template an architect can use to help him or her create a Project Specification. It may contain requirements for several products to help the architect select the one or ones best suited for a particular project. Some architects have their own library of master specification sections. Other architects subscribe to commercially published libraries of specifications such as "MasterSpec" by Arcom. A manufacturer will try to encourage an architect or publisher to include its product in a master specification, but has little or no control over the document. This is a type of master specification that is published by a building product manufacturer to help an architect write a project specification that is based on the manufacturer's products. There are publishers that, for a fee, will write a guide specification for a manufacturer and publish the specification on the publisher's website. Being included in the publisher's database is a form of advertising. Each publisher has its own "style" of specifying, and having your spec written in the house style will be useful to specifiers that frequent the publisher's site. These benefits must be weighed against the costs and drawbacks. I frequently find it better for a manufacturer to write its own specification section (with the help of a consultant, if necessary) and publish the guide specification on the manufacturer's own website. 1. It specified a product that has not been manufactured in more than five years. 2. While the product was identified by its manufacturer, the manufacturer was not among those named in the paragraph listing acceptable manufacturers. 3. Accessories necessary for the installation of the product were specified to be by another manufacturer with incompatible accessories. 4. The product was specified to be made with "FSC wood". While I assume "FSC" is an abbreviation for "Forest Stewardship Council", a wood rating agency, this was not stated by the specification, creating ambiguity. 5. Moreover, FSC has several standards for wood. Yet the required grade was not specified. While I assume the architect wants FSC-Certified wood to comply with LEED requirements, the vague spec could allow other firms to supply FSC-Controlled or FSC-Mixed woods that are less costly and contribute less value to LEED compliance. 6. While the section specifies submittal of data substantiating recycled content in compliance with LEED requirements, it does not require submittal of data substantiating the LEED value of the wood. This casts doubt on my assumption that the intent of the document is to require FSC-Certified wood. These errors were found while skimming the specification; perhaps closer scrutiny would reveal further obfuscations. If you have to bid a specification like this, the proper response -- at least according to typical instructions to bidders -- is to request a clarification from the architect. As a material supplier, the instructions to bidders probably require you to submit your question through a prospective subcontractor who would, in turn, submit the question to a prospective general contractor to forward to the design firm. By the time the architect or engineer issues an addendum answering the inquiry, there may be little time left to prepare your bid. The sloppiness in the specification is to the disadvantage of a responsible supplier that tries to ferret out the designer's intent and bid accordingly. Other contractors will exploit the vagueness of the spec to submit the lowest quality work they can get away with. As an Architect, Certified Construction Specifier, and Fellow of the Construction Specifications institute, I am embarrassed by the prevalence of such substandard work by members of my profession. In outrage, I imagine a website to which bidders could anonymously submit defective specs. Each week, a panel of reviewers would select one example as the "Defectification of the Week," posting the section and the name of the culpable design firm and notifying to the firm's client. Perhaps fear of such public shaming would motivate designers to give more attention to the quality of their construction documents. Yet the better response is to expend my energy training and encouraging specifiers to raise the standard of care in the industry. 1. Train your team so they understand the principles of specifications. A great way to do this is by encouraging your sales reps, estimators, engineers, and customer service staff to study for and pass CSI's Construction Document Technologist (CDT) exam. 3. Assist specifiers to prepare clear, complete, and concise project specifications by providing technical and sales support. If you develop a reputation of being a fair broker that knows your product category, many specifiers will let you review and provide feedback about their specs prior to putting them out to bid. Getting more commercial construction business requires a keen understanding of how architects and product specifiers communicate. Imagine for a moment that you decide to expand your market share to a different country – say, Russia. You land in Stalingrad, armed with your sales binder and fancy brochures, thinking, "Everyone's going to love my products?' Just like back home, right? You arrive at your first appointment and are confronted with a stark reality: You have no idea how to speak Russian, and you don't understand the nuances of how buying decisions are made in this new market. How well do you think you would do? Wouldn't you have rather been armed with something beyond the binder, brochures and bravado – if you knew the language and felt completey comfortable approaching your new prospects? Product specifiers are a well-organized group. They speak a common language that is unfamiliar to most of us. These people ultimately determine what type of products will be used in a commercial project and then identity the products using a specific format called MasterFormat. To do business with this contingent of potentially lucrative buyers, you have to learn their language and customs. Here's the good news: it's not difficult to learn their language or rules, and companies in our industry have a largely untapped opportunity to properly work with architects and spec writers. The bad news is the majority of cast polymer manufacturers have never taken the time to learn how to work within the confines of their system. As an industry, we have virtually ignored selling and marketing to this group of buyers. Those who participated in the Multi-Regional event left with a better understanding of how this process works. The presentation was delivered by Walter S. Poage, AIA, CSI, CDT, president of the Fort Worth, Texas, chapter of the Construction Specifications Institute (CSI). CSI was founded in 1948 to address the specific need for a uniform system of presenting and organizing construction documents into a common language and format. This format is presented in the form of construction specifications, also called "guide specifications." In part, they define the requirements for products, materials and levels of workmanship upon which the construction contract is based. The specifications also detail the requirements for administration and performance of the project. Understanding this process is the key to entering or penetrating the commercial construction realm. Many surface companies (firms selling engineered quartz, solid surface, laminate, etc.) have created very detailed specifications for their products. The specifications are written to be particular to their product line or brand name. 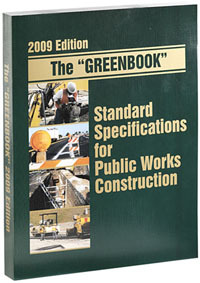 These companies use specifications as both educational tools and marketing tools to obtain product placement into construction specification manuals. For example, the specifications for Company X's solid surface products are different than Company Y's specifications. But these two different specifications are all written in the same language and format, as required by CSI. It's this "commonality of format" that bridges the communication barrier between the manufacturer and the specifier. Once you understand how this format is structured, you’ll communicate in the same language as the specifiers and potentially sell more of your products. Here is a glimpse of how the structure works, and the level of detail by which CSI operates: There are 49 “Divisions of Specifications” in CSI’s new MasterFormat. Divisions 02 through 16 include the specifications for construction materials, including material types and installation methods. Cast polymer materials fall under Division 06, “Plastic Fabrications.” Within this category, engineered composites are listed under Subsection 61, "Simulated Stone Fabrications" and further defined into two specific categories: Section 13 for "Cultured Marble Fabrications" and Section 16 for "Solid Surfacing Fabrications." When written out in spec format, our industry should realize the importance of "[Section] 06 61 13" and "[Section] Division 06 61 16." 1. Clear. Use proper grammar and simple sentence construction to avoid ambiguity, and no word can be misspelled. Remember, you're working with educated people who expect you to operate at the same level. Have your documents edited for accuracy of spelling and grammar. 3. Correct. Present information accurately and precisely. Carefully select words that convey exact meanings. The word "surface" may be ambiguous. It's better to define the type of surface as "engineered composite surface" or "solid surface." 4. Complete. Do not forget important information. For example, if your product meets a Class I fire rating (ASTM E 84) for flame spread and smoke density, this is important information for an architect or specifier looking for products for a nursing home or high-rise hotel project. Also, the availability of edge treatments and other product attributes can be incorporated into your specifications to add valuable detail. There is nothing better than seeing your company's brand name product specified into a project-it's a proud feeling to have the product of choice. When this occurs, anyone bidding on the project needs to contact you and obtain pricing for your materials for the scope of the project. Remember, if they're calling you, they're not calling your competition. Properly written specifications and products will help you attain this envious position. ICPA members who attended Poage's informative presentation at the Multi-Regional event learned how to capitalize on a specific way to grow their businesses. Now, imagine making that sales call in Russia, but this time, envision speaking a common language with a better understanding of the new market's customs and operations. Your success would be the direct effect of your preparation. The same holds true with commercial construction and working with architects and specifiers – it can be a growth area for all ICPA manufacturers. Chris Hurdleston is president of Marbleon, Inc., Leola, Pa. Article first appeared in MasterCast, published by ICPA, and is reprinted by permission of publisher. Why manufacturers need guide specifications. "The writing of architects' specifications is a task approached by many with trepidation, by some with the careless confidence of ignorance and by a few with studious determination to succeed." Nearly a century later, it is equally true. Become partners with the studious. Call 818-774-0003 and ask how a SpecAudit™can assure that your guide specs accomplish these noble goals.